Landscape Ontario membership entitles you to take advantage of programs offering discounts on a wide range of business products and services. Most of these benefits are administered by the Canadian Nursery Landscape Association (CNLA). Save up to $2,750 on select CAT equipment and attachment purchases and 10% off the list or book rate for anything rented through the Cat Rental Store. In order to take advantage of this offer, contact CNLA Member Services at info@cnla-acpp.ca or 1-888-446-3499 to obtain a membership confirmation letter to give to the dealer. Members receive a 15% manufacturer's suggested retail price (MSRP, plus applicable taxes) discount off ECHO or Shindaiwa gas powered units and accessories purchase*. Members also receive a 10% discount off the purchase of any ECHO 58V battery powered products. Also members will be offered a 20% discount if you arrange a product demo with an ECHO representative and purchase a minimum of five ECHO and/or Shindaiwa gas powered units in a single purchase. *$250 minimum purchase required, does not include parts and labour. Huge savings on select NEW GMC vehicles. A $200 administration fee applies, program is non-stackable and cannot be used in conjunction with any other retail incentives including 0% or any other special finance rate. 2016 rates now available! *Certain conditions apply. To request a authorization letter, please call the CNLA Member Services Team at 1-888-446-3499 or info@cnla-acpp.ca. 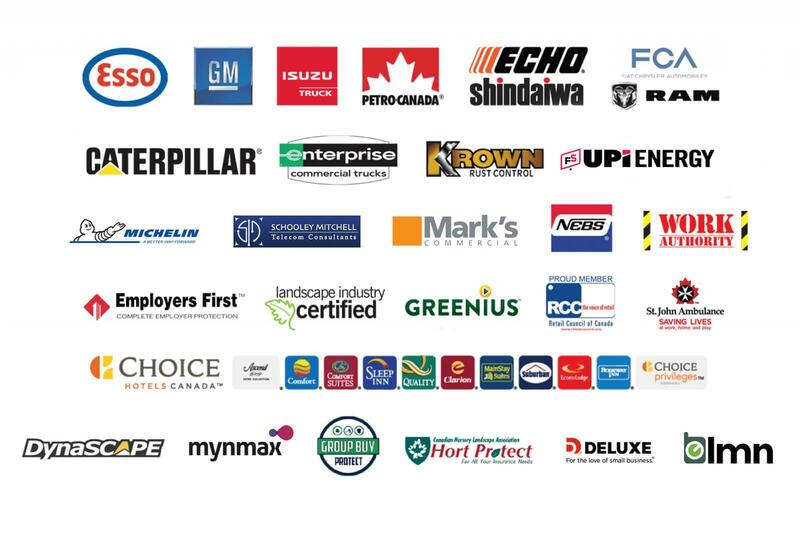 Landscape Ontario and Imperial Oil are pleased to offer the LO member Esso Mobil Business Fleet Card Program. Save up to $4,000 on select NEW Isuzu Trucks and are also entitled to Competitive Assistance or Fleet Assistance. $100 admin fee per vehicle. Call the CNLA Member Services Team at 1-888-446-3499 or email info@cnla-acpp.ca. Receive access to special fleet pricing programs and discounts on specified products. A price list is available on CNLA website. Special pricing on MICHELIN® Passenger and Light Truck, Truck, Agricultural, Compact Line, Tweel SSL and Earthmover Tires. To access discount: Complete the Michelin application forms (available on the CNLA website) and send to CNLA for processing. Once the setup process is complete, the CNLA member will receive a welcome package with instructions on how to start saving. As of April 1, 2018, members now enjoy a discount of 2.9 cents/litre on all grades of gasoline and diesel purchased at Petro-Canada retail service stations starting April 2018. A minimum of 400 litres must be purchased on your account to qualify for this discount. A discount of 15% on car wash at Petro-Canada retail service stations. Complete Petro-Canada SuperPass credit card application (available on the CNLA website) and then contact SuperPass sales at 1-888-999-2609 or superpasscanada@suncor.com, identify yourself as a member. 3% discount on fuel purchases using your EnergyCard™ and 2 cents per litre on all fuel, heating oil and bulk propane delivery purchases made on a credit-approved account. Call 1-800-396-2667 or visit www.upienergylp.com. Members now receive a 15% discount on products, software upgrades and online training. CLD candidates upgrading from their Student Versions of DS | Design v6 will receive a 20% discount. Contact CNLA for a membership confirmation letter to provide to your sales representative to access the discount. Landscape Management Network (LMN) is designed to help landscape businesses to grow. Members can use a coupon code available online to instantly save $20 off the regular $99 price of attending and educational workshop and sign up for a free account. Details online at golmn.com/association/LO. Mynmax has negotiated enterprise mobility contract with Rogers and Telus that enables all CNLA members to save 20% or more on mobility plans with a lot of added value. To access discount: visit mynmax.com/pages/cnla to set up a Mynmax membership account, select CNLA from the drop-down, and start saving today! Want to lower your telecom costs? Schooley Mitchell customers save an average of 30% yearly on their local services, cellular, long distance, internet and conferencing. Call the CNLA Member Services Team at 1-888-446-3499 or info@cnla-acpp.ca or view a flyer about this program. Receive a 10% discount on specified Mark's imagewear clothing, footwear and safety accessories with the new savings card. The Mark's savings card will be required to access the 10% discount. Contact the Member Services team at 1-888-446-3499 or info@cnla-acpp.ca for your card and catalogue today! 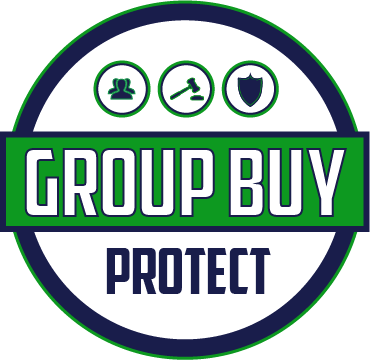 The Deluxe Perfect Partner program (formerly NEBS) offers the same products and services with members receiving a 15% discount off printed products, as well as discounted rates on the Deluxe Payroll system. When using this program, please quote the CNLA membership code 19959 to receive the discount. 15% off of all regular priced products at all WORK AUTHORITY locations. No minimum purchase surcharges apply. Must be paid by Cash, Debit, Credit Card. Direct orders can be made through Dianne Taylor (dianne.taylor@workauthority.ca). Where an item is sale priced, the lower price will apply. Coupon is required to be eligible for discount, please contact Member Services at info@cnla-acpp.ca for the PDF of the card. Not to be combined with any other offer. More information can be found at workauthority.ca or on the CNLA website. Members receive discounted rates on training manuals and exam registration for landscape industry certified designations. Visit www.landscapeindustrycertifiedtechnician.ca for full details or email Colin Tyler Vince at colin@cnla-acpp.ca. Ontario Government Grant Program now available to Ontario employers covers up to 83% of the cost for companies under 50 employees and 66% of the costs for companies over 50 employees. New for Spring 2015 — we come to you! Greenius is now a full-service training company. The on-line videos teach the basics of operation, proper techniques and hazard awareness to both existing and new employees — no software, no DVD’s, no VHS. LS Training has a library of 27 videos, complete with interactive online exams. Once the exams are passed, the system generates the training checklists, each takes 10 minutes to be done with a trainer/supervisor either on your own or we come to you — the employee demonstrates their basic knowledge and skills, and then sign off! The system stores records and reports of all training data, which can help you win your bids, as Health and Safety of commercial clients have strict requirements which this meets. Brand New: Supervisor Training Series. These 7 videos are specific to your foreman, crew leaders and crew managers. Effectively promote your best people with courses like: Morning Prep, Safety and Training, Meeting and Beating the Budget, Customers Count, Defensive Driving, Quality Counts, Coaching and Motivating, and later in the year — Conflict Resolution. Create your own Tailgate Library and store them in the system-even add your own; diplomas for your employees that pass all the courses. To obtain your membership discount code to access an additional 5% savings off your rates* For more information visit LS Training www.gogreenius.com or contact Arden Urbano at arden@LSTraining.com or by phone at 1-877-482-2323 ext 108. Canadian Landscape and Nursery Association is now a proud member of Retail Council of Canada and CNLA members can now access select Retail Council of Canada (RCC) Group Discount Programs with a username and password. For your username and password or to learn more about the benefits available through CNLA’s RCC Membership, please contact the CNLA Membership Team today at 1-888-446-3499 or email info@cnla-acpp.ca. Members receive an 8% discount on first aid with CPR certification; as well as a 10% discount on first aid kits, discounted rates on Emergency First Aid course and the Standard First Aid course. Provides your business with up to $1 million in legal expense coverage. Available legal assistance with contract disputes and debt recovery. Business and Auto Insurance: Total coverage for all your general insurance needs. This program meets all pesticide legislation, covers rented equipment, theft of tools and errors and omissions. Call Marsh Canada at 1-888-949-4360.